Jack Schaefer, author of the classic Shane, has written a timeless story about the friendship of a wise old shepherd and a young boy set in the Mojave Desert. 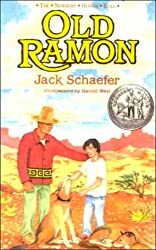 About Jack Schaefer (Author) : Jack Schaefer is a published author of children's books and young adult books. Some of the published credits of Jack Schaefer include Shane.